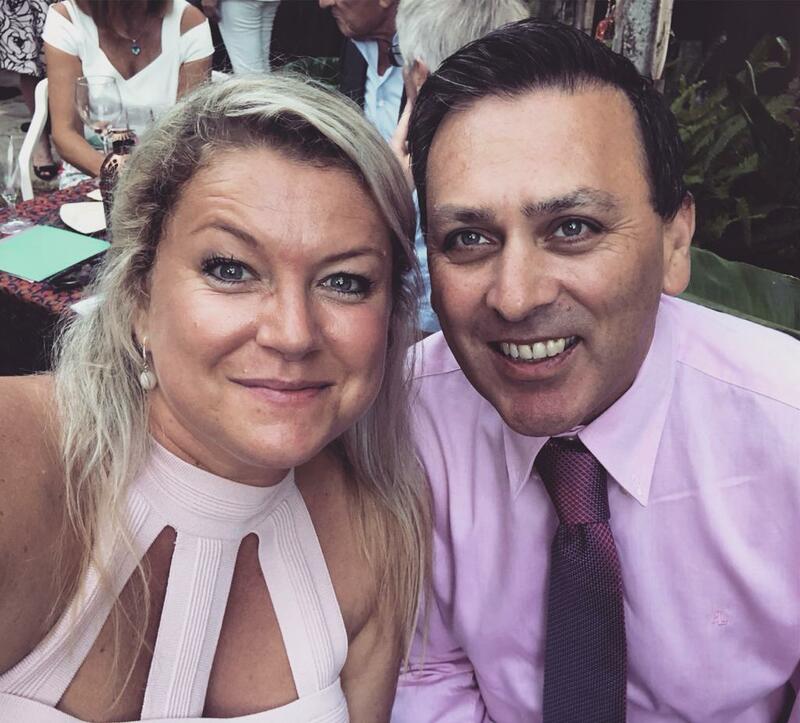 As you will get to know over the coming weeks, they are both real foodies, and love eating out, sampling many different types of cuisine and enjoy cooking and are always experimenting in the kitchen, and trying out new dishes. A ‘Jolley’ Wedding: First up was a Friday evening wedding of two good friends who decided to make it official after many years together. Garry Waite was the Master of Ceremonies and oversaw the catering for the reception, which was held in their beautiful garden. 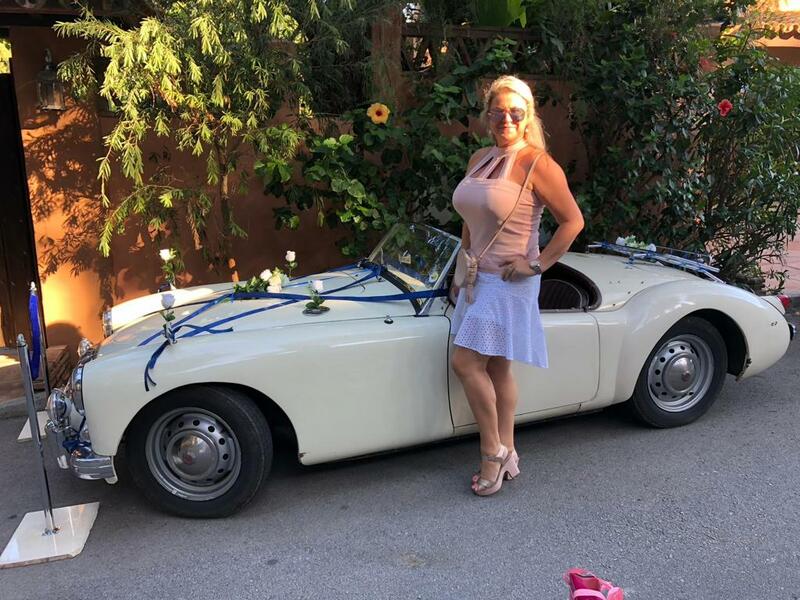 Ian Giles, Founder and Director of the Classic Car Club of Andalucia conducted the wedding, so it was befitting that there were two beautiful white MG’s at the entrance to Frank and Steph’s house decorated with ribbons. Johnny G (who also sang at our wedding last year) got everyone on the dance floor, especially when he ‘left the building’ and returned as Elvis. It was a truly magical evening dining and dancing under the stars surrounded by great friends. 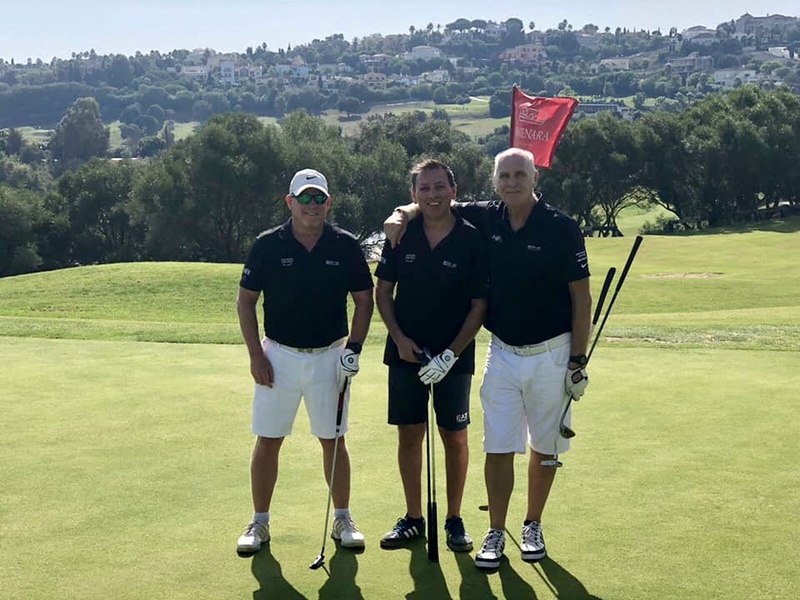 Par for the Course: It was an early start for me the following morning as it was the monthly La Sala Golf League event, and this time it was at Almenara in Sotogrande. The weather was incredible, but we all seemed to find it a bit of a struggle. We were a man down, and the rest of us hadn’t had much sleep (that’s our excuse and we’re sticking to it)! As usual the prize giving was back at La Sala in Puerto Banus. We did however manage to avoid the wooden spoon, or any other prize for that matter. Christmas Dinner: Yes, you read that correctly. Sunday we were up and out again, having been invited to friends for an afternoon of games, wine and lunch. We had no idea what we were having, just that our friend had teased us that she is not a confident cook and was worried about what to make. One thing she is very good at is a full on Turkey lunch with all the trimmings, so that is exactly what we had! It was a superb afternoon filled with wine and laughter. 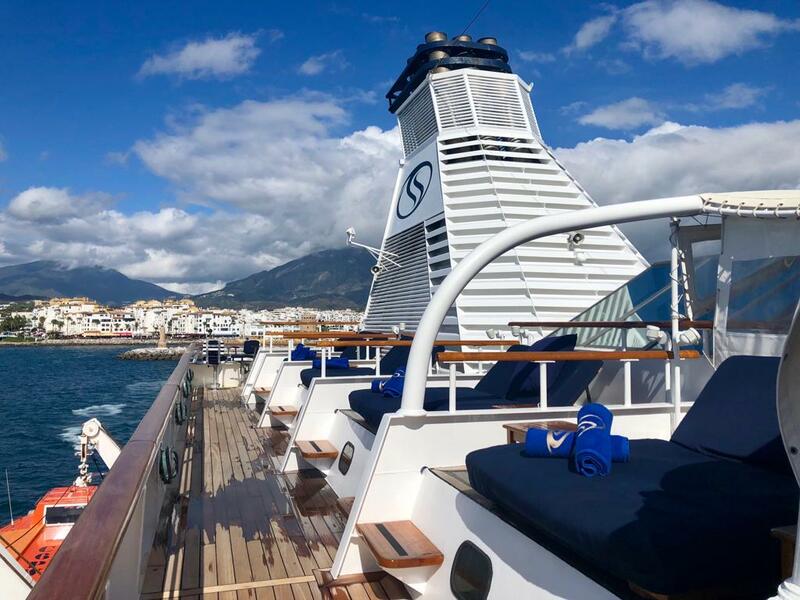 Sea Dreaming: On Thursday Hannah was invited on onboard a very special yacht to join John Deverell from The Cruise Market for a tour and lunch aboard Seadream 2 in Puerto Banus. I couldn’t make it, so Hannah took along a friend who is planning to do a cruise with a group of girls next year. We have booked two cruises through John, and he has kindly invited us to join him aboard some of the ships that he sells trips for, to get a good idea of what’s available. Seadream call themselves a yacht club (instead of a cruise ship) as the boats are much smaller and more intimate, sleeping just 100 passengers. 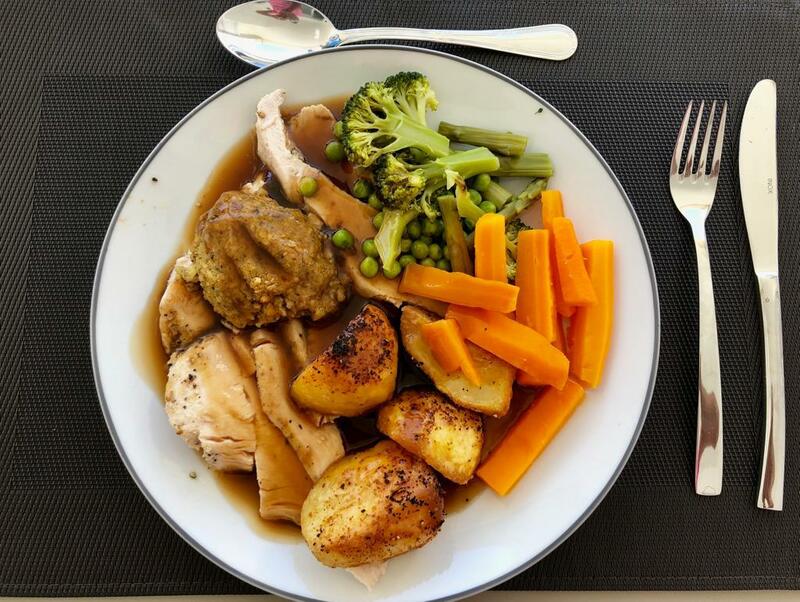 Celebrity Cooking: While Hannah enjoyed being wined and dined, I was in the in the kitchen. But this was no ordinary kitchen. 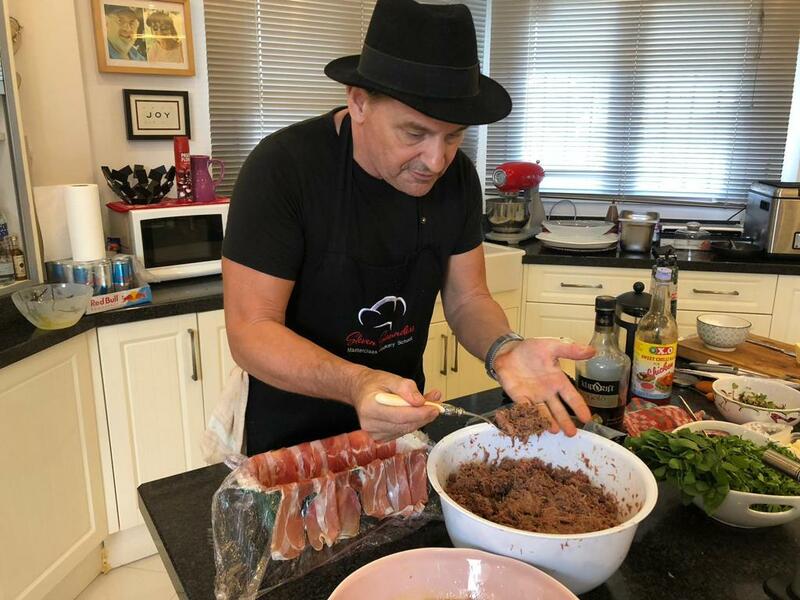 Having celebrated a milestone birthday back in July, a group of friends clubbed together to get the most amazing present, a cooking course with none other than celebrity chef Steven Saunders of ‘Ready, Steady Cook’ fame, and owner of ‘The Little Geranium’ in La Cala de Mijas. Steven was a Michelin award-winning chef, having founded a restaurant that was one of Charles and Diana’s favourite haunts, the Pink Geranium in Cambridgeshire. 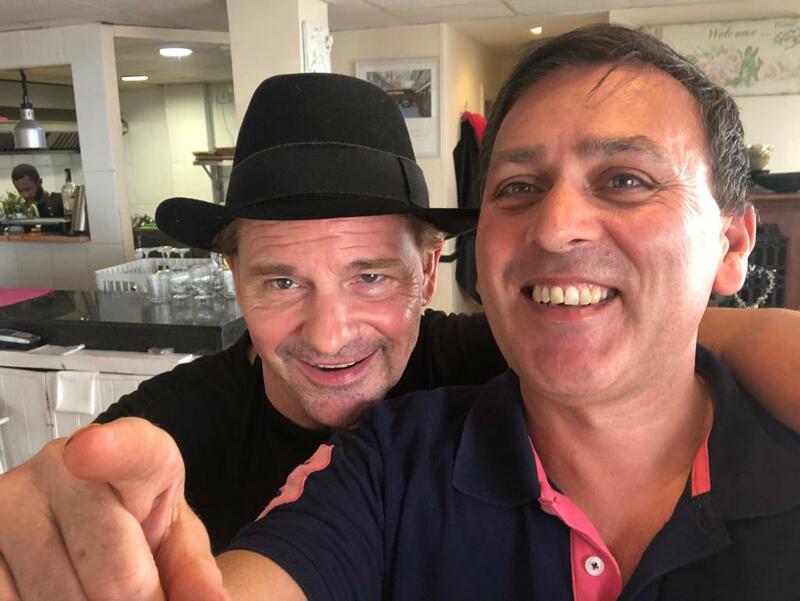 With dozens of books to his name and hundreds of TV appearances on Channel 4 and ITV, Steven set up The Little Geranium, where as well as serving creative tapas by day, and fine dining by night, he runs a cookery school where he teaches some of his signature dishes. I spent a very enjoyable day learning how to make seared scallop ceviche, an oxtail, duck and foie gras terrine, panko herb crusted saddle of lamb with red wine reduction gravy, and a grilled lobster with bouillabaisse sauce. After all that cooking and learning I was treated to lunch with Steven back at his restaurant where one of the dishes we enjoyed was Princess Diana’s favourite, the crispy duck with sweet chilli sauce. 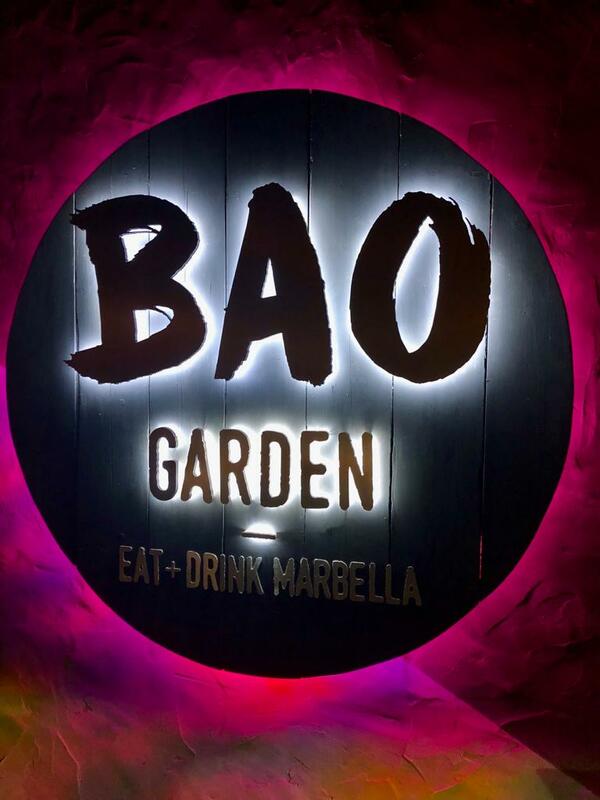 Street Food: Friday night we met up with good friends at Bao Garden,(La Campana Nueva Andalucia) an Asian street food inspired restaurant with cuisine from Taiwan, Thailand, Vietnam and Korea. Bao is a Chinese steamed bread roll in which you could have a variety of fillings. I opted for a spicy Korean chicken which was full of amazing flavour. Hannah has visited Bao on a previous occasion and not knowing the concept back then she overloaded on the Bao bread rolls! This time she (sensibly) stuck to a Korean style chicken salad. I however ordered another dish, the Saigon slow cooked ribs – very tasty, but there was just too much of it. Next time I will also swerve the bread and just go for one dish, quite possibly even sharing that instead of one to myself. All in all it was a good evening with tasty food. On this particular visit, there seemed to be a lack of staff, so ordering food, getting drinks, and even getting the bill was a little frustrating at times. 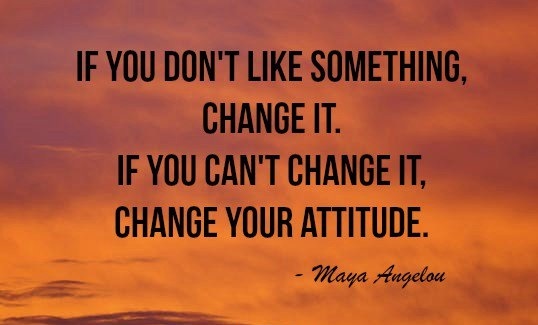 We are sticklers for service in restaurants and it can be something that puts us off revisiting somewhere; even If the food is great. 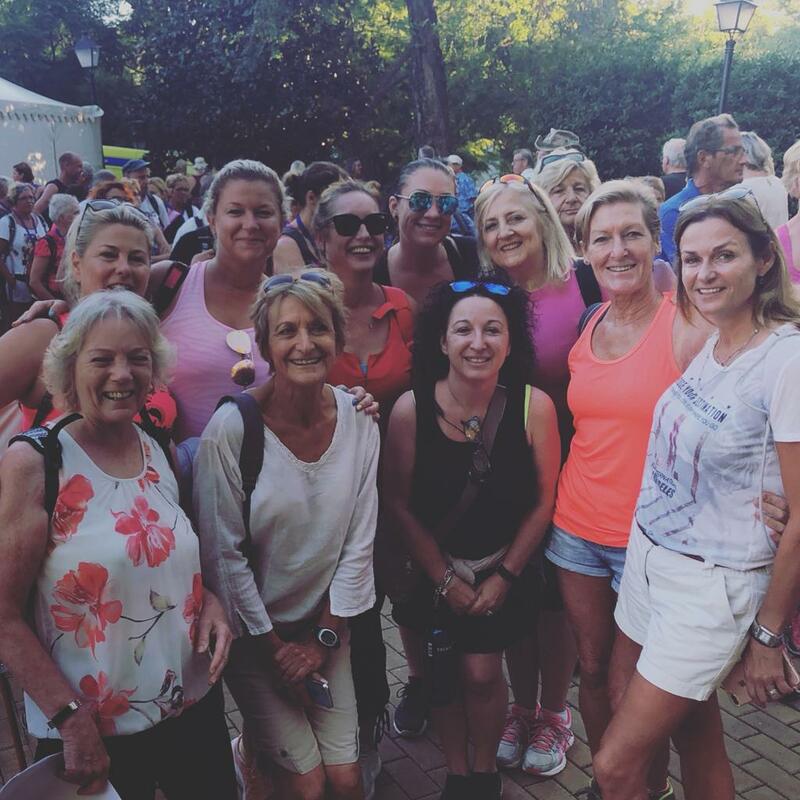 Walking It Off: On Saturday, Hannah and a group of eight other girls did a 20Km walk as part of the Marbella Four Day Walking event. It’s a Dutch concept that was brought to Marbella and attracts thousands of participants each year. They picked the hardest walk it seems, with a lot of uphill, as they trekked through Sierra Blanca, the Marbella Hill Club, and all the way up past the venue for the Starlight concerts. Well done girls!